Sleep in luxurious refinement on this stunning bed. Its benchmark design combines clean lines and button tufts to add sophistication, while the high grade construction allows you to rest easy knowing you're surrounded by quality craftsmanship. Full slat system requires no box spring for mattress, Footboard and side rails included. This Trinity Platform Bed in Pure Black finish with straight, clean lines and decorative moulding looks classy. It will serve as a perfect economical solution, since it requires no box spring. This contemporary style platform bed is sturdy and has a firm structure. In addition, it includes a large drawer on full-extension metal glides that can be opened easily without the need for handles. This contemporary style full/queen platform bed (54/60) featuring a spacious drawer, was designed with clean, straight lines and is a value-conscious choice since it does not require the use of a box spring. The drawer is mounted on full extension metal slides that open easily, without handles, thanks to the indentation at the bottom. 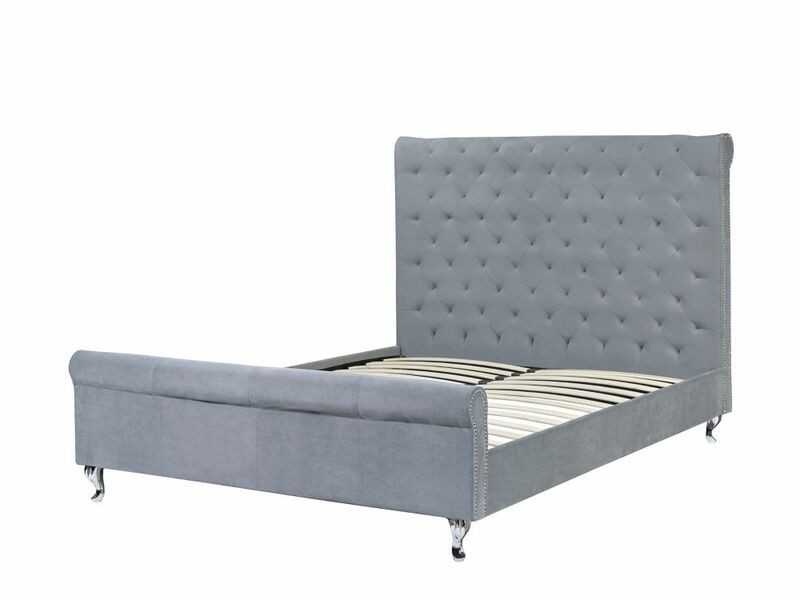 Victoria Queen Platform Bed, Grey Youll be looking for any excuse to go to bed when you introduce this stunning bed to your slumber space. Very modern yet upholding traditional appeal, this bed frame is wrapped in tightly woven, chenille fabric, and sits atop solid, curved chrome plated metal feet. The bed frame commands attention with its Tufted accent detail. A hint of luxury balances beautifully with this incredibly attractive bed.